Are you incorporating Diversity and Inclusion factors into your investment strategy? Each year we publish a list of the 100 most diverse and inclusive companies which represent our Diversity and Inclusion index. The index offers an innovative benchmark for fund managers and investors wishing to commit capital to companies that actively invest in and promote environmental, social and governances values and principles in the running of their business. Investors are increasingly looking for companies which have good diversity and inclusion ratings to ensure they are investing in companies with sustainable ideas and processes. 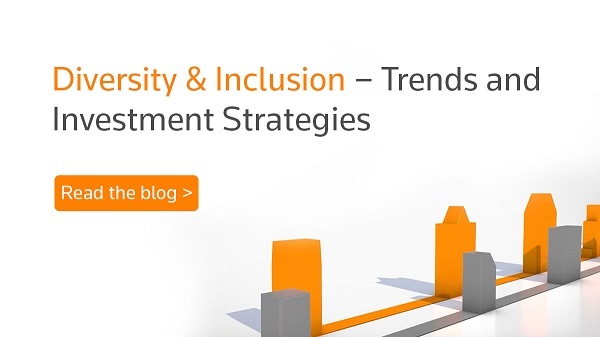 Find out more about the D&I trends which can help inform your investment strategy – read the blog. Complete the form to request more details about the Thomson Reuters Diversity and Inclusion Index or our ESG data.